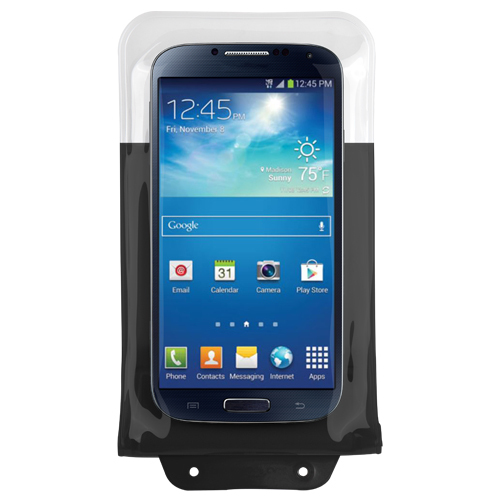 Simple "O" Play 10 design to protect their phone for water, sand, snow, dust, etc. You can operate all controls easily through the suple material window. 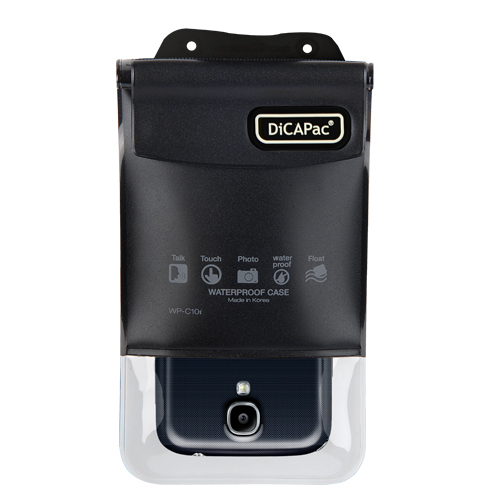 It has Super-clear window in the rear so you can take clear photos. 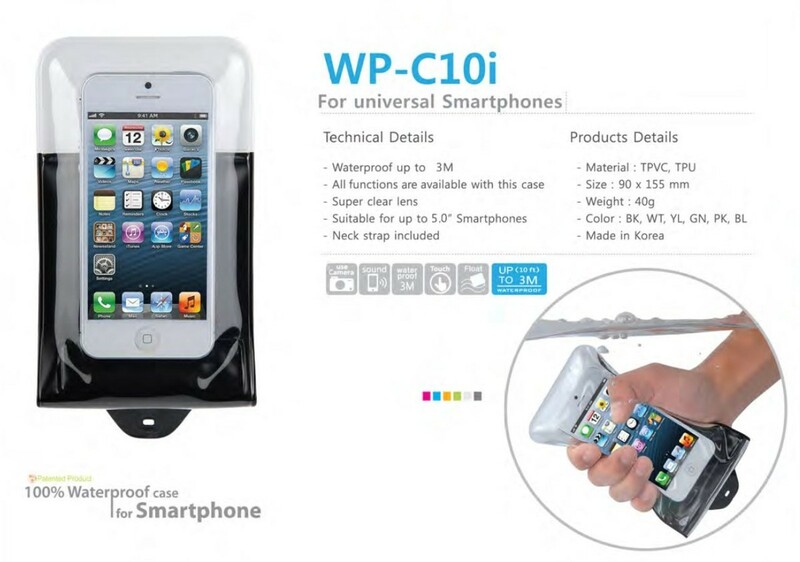 It can be used for smartphones havinf smaller than 5.0 onches display. 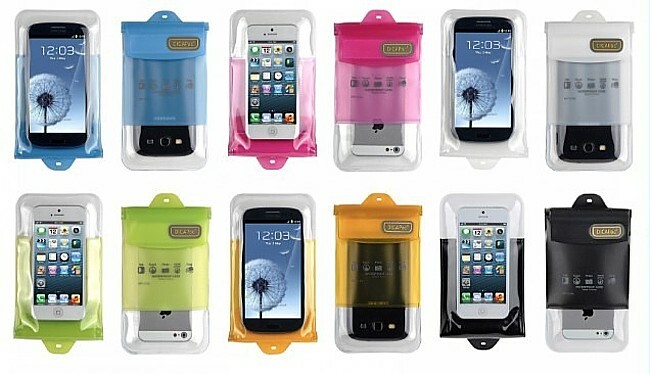 It protects your mobile phone from water, dust and sand. You can talk and hear very well. 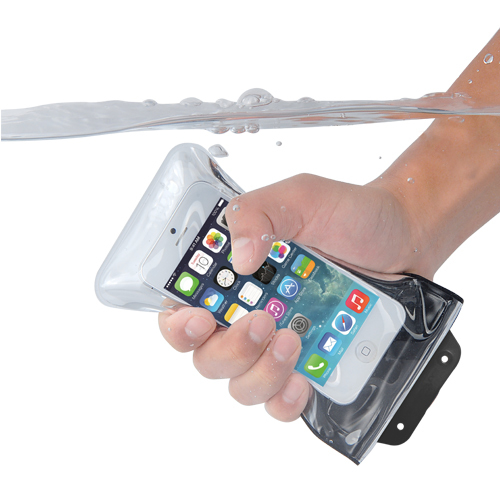 It'll float with your smartphone in it.